Lead is known to be high in toxicity and was added in the paints till the late 1970’s. There is a list of diseases that are triggered by either the inhalation, ingestion or absorption of this material. Some of these diseases include attention disorders, behavioral problems in children, learning disabilities, severe damage to crucial organs like kidney, along with nervous and reproductive system. Hence, lead paint removal has been rendered an imperative by the EPA and other international standards. We are certified to provide lead paint removal services and can produce desired results with our extensive experience, range of methods & equipment and knowledge of pertinent regulations. 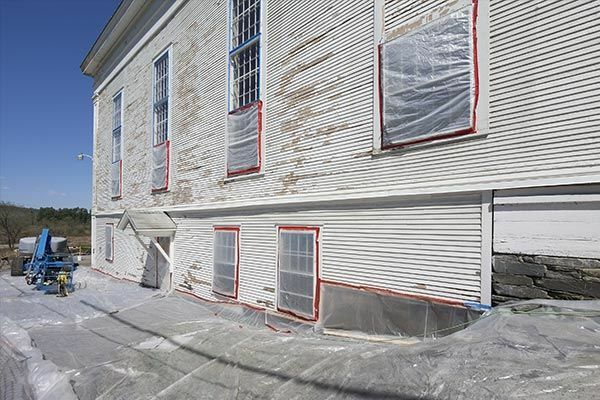 We begin by evaluating the condition of your property structure and leverage our experience and knowledge of regulations to ensure that we conduct the lead paint removal service in a meticulous manner. Rock Environmental can also conduct asbestos testing and removal along with mold remediation. Our clientele ranges from residential and commercial property owners, especially we get called by facilities occupied by children, like schools and daycare centers that were painted prior to the regulations enforced in 1978. Our staff is trained as per the guidelines set by the Environmental Protection Agency (EPA) and they also keep upgrading their knowledge as per the standards presented by Occupational Safety and Health Administration (OSHA). We have a rigorous method of lead paint removal, where we take every precaution possible to not expose the inhabitant and the people involved in the process to the hostility of lead’s toxicity. Our professionalism and environmental awareness keeps our customers highly satisfied with our services. We have adequate equipment and trained resources to conduct reduction of lead hazard, control lead contaminated dust, remove lead contaminated soil, clean-up lead based paint and we also perform further enclosure, encapsulation and disposal of the hazardous material extracted. Live without exposing yourself to any of the health risks by having Rock Environmental, Inc remove any traces of lead paint in your home or business.